If you receive a diagnosis of a fatty liver, it does not necessarily mean you eat a lot of fatty food, though a poor diet can be a contributor to the condition. Generally, if the liver allows fat to build up, it indicates that somewhere in the delicate dance of chemical reactions that is your healthy digestive system, something is awry, and physicians are noticing more and more frequently that fatty liver is connected to pancreatic function. Nonalcoholic fatty liver disease, or NAFLD, is a diagnosis applied to early-stage liver disease that does not involve excessive use of alcohol. Alcohol abuse on its own can lead to fatty liver disease, and in both alcohol-related and nonalcoholic fatty liver disease, the condition is reversible. There are usually no symptoms. Untreated NAFLD can lead to further deterioration and eventually liver failure. Treatment protocols vary based on the underlying cause. Diagnosis generally occurs incidentally when blood work reveals elevated liver enzymes. Fatty liver diagnoses began to rise in the late 20th and early 21st centuries as obesity reached epidemic proportions. Diets rich in easily metabolized carbohydrates might play a role in developing the condition, according to a 2007 “Obesity” study by David Ludwig, M.D., Ph.D., et al. The simple sugars in some carbohydrates drive a spike in insulin production. The pancreas releases this insulin directly to the liver. This response initiates the chemical processes required to store the extra energy as fat, and the liver is most susceptible to the fat buildup because of the high concentrations of insulin it receives from the pancreas. Your pancreas releases just enough insulin at any given time to metabolize the macronutrients that are present. Some conditions, such as metabolic syndrome, which is characterized by excess abdominal fat, can make the cells resistant to insulin, so the pancreas must release more of the chemical to complete the task at hand. This flood of insulin builds up in the liver, accelerating fat storage and leading to NAFLD. There are some indications in preliminary studies that fibrosis in the pancreas is associated with liver disease. An analysis of 1,000 corpses conducted by Edward E. Woldman, M.D., published in “The Journal of the American Medical Association,” found a high degree of association between the two conditions. 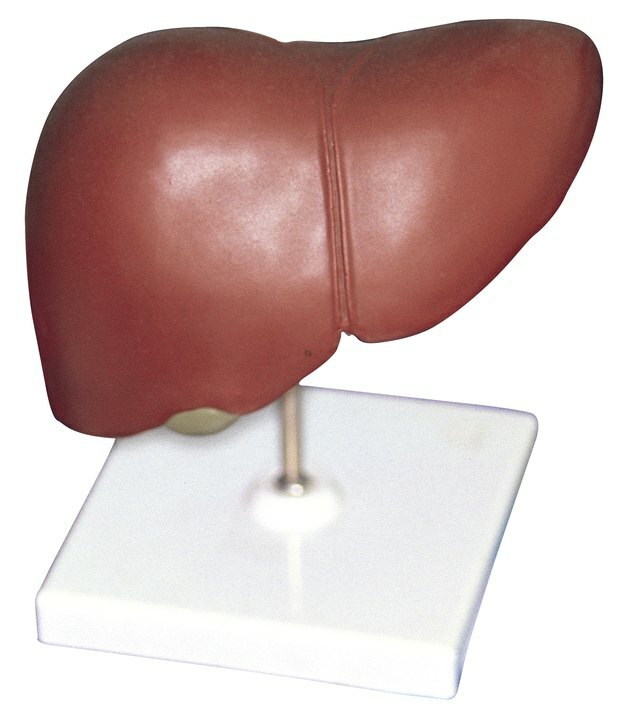 In the 222 cases of liver disease, including fatty liver, cirrhosis or both, 156 of them also had pancreatic fibrosis.